I am going to do a Teen Statesmanship Club for Winter 2017 for our homeschool group. I am so thrilled about this! Here is the format we are going to use. I invite you all to freely copy this format if you want to do some kind of scholar based, liberty-based American history class.This is for a 90 minute class. This is for ages 13 to 18. Keep in mind this is all theory right now. I may adjust as I go through the class in the coming months. First week of the month, do a simulation, play a game, or watch a movie that inspires teens to greatness. Use simulations from the book written by Tatiana Milne here. Second week, discuss the life and works of a great statesman/woman. We are going to do Thomas Jefferson, Mother Teresa, Ron Paul, and Irene Sendler. Notice how I have the men balanced by an equal number of women. We are even going to talk about everyday ordinary mothers when we talk about Mother Teresa and ordinary dads too when we talk about Ron Paul. Third week of the month, come to class already having read a Tuttle Twins book. Discuss the book using the questions at the back of the book. Watch any related videos, like the I, Pencil one here. 4. 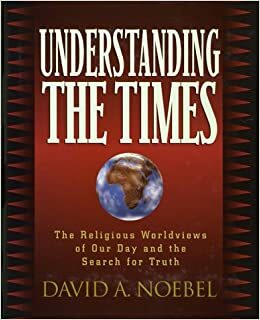 Discuss a few chapters from the book, Understanding the Times by David A. Noebel. This is probably the most comprehensive guide to the competing worldviews of the day: secularism, New Ageism, Biblical Christianity, Islam, among others. 5. When there is a fifth week we will play a game or simulation, and hopefully it will relate to the previous chapters of the UTT book. We will also have a student each week do a ten minute report on something they are passionate about. For a part two semester, I will follow the same format, but insert Uncle Eric books on the third week and do different heroes for the second week. I might throw in some lessons on parliamentary procedure and mock trials, as my energy and connections to people with those skillsets allows. I have seen how my older kids benefited from those lessons and activities. Now that I live in rural southeastern AZ my options are more limited.